This wine is one that we always like to have around, we can’t recommend it enough, especially for food-wine pairing. It is excellent quality and extremely cheap for how good it is. It embodies the essence of a Douro red without ever being too aggressive or going too far in one direction. It is only the entry-level wine for Kopke (look out for the review of their other wines coming soon), and is very much an all-purpose wine, since we feel it’s very hard to find food that it doesn’t go well with it, especially any meat dish. It is surprisingly fresh on the nose, where you can pick up red fruit (mostly cherry) and some fresher floral tones right away. Going a little deeper, you start to get some tones of minerality and some nuttiness from the barrel. Tasting it, you won’t be disappointed. All the fruit and mineral notes are there, with only a small tinge of acidity that makes it a very fresh red. It’s definitely not a sweet wine and you will feel the tannins in the end, but they are very tame. It is wonderfully balanced, a real crowd pleaser. It’s not very complex, although if you are inclined to it you can pick up the slightly spicy and nutty undertones. It has been described as having a slight hint of cocoa, which unfortunately we couldn’t pick up on. We decided to go a little off-key when pairing this wine because we were so confident in its ability to perform well with many types of food. We paired it with a burger from DeGema, one of our favorite burger places here in Braga. This particular burger from their menu includes chorizo, sliced turkey, cheddar cheese, sauteed mushrooms, pickles, caramelized onion and cheddar sauce. Right away you can tell this isn’t your normal burger: the chorizo gives it a little tinge of spice, the pickle is bitter, the caramelized onions add a little bit of sweetness, and it’s all brought together by the smoky mushrooms and the rich creaminess of the cheddar. 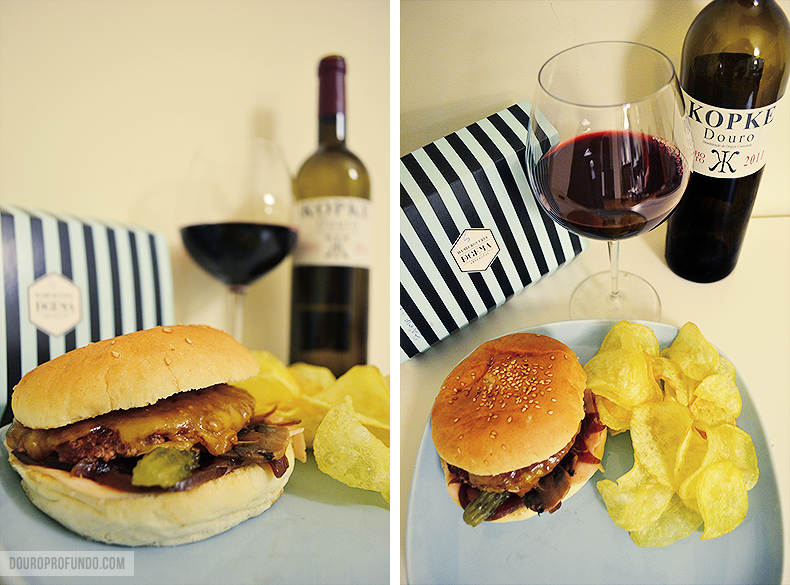 The wine was a perfect partner for this burger, with the cherry really coming into its own, and that hint of acidity giving it the freshness that the burger needed to keep going back for one more bite. We truly enjoyed this pairing, and were very pleasantly surprised at how well it turned out. So much so that we often get the burger to go, just so we can take it home and pair it with this wine. The next day we finished off the bottle with a light lunch of some of the more typical Portuguese finger food: chicken croquettes, shrimp pies, bolinhos de bacalhau (a sort of a deep fried dumpling made with salted cod and potatoes), as well as chicken pastry and samosas. The wine dealt really well with everything. It just cemented in our minds that this is an excellent all-purpose wine, that really shines when paired with spicy food or a red meat, but that is also an excellent choice for a meal of tapas, a buffet or anything else that involved different types of food in one sitting. 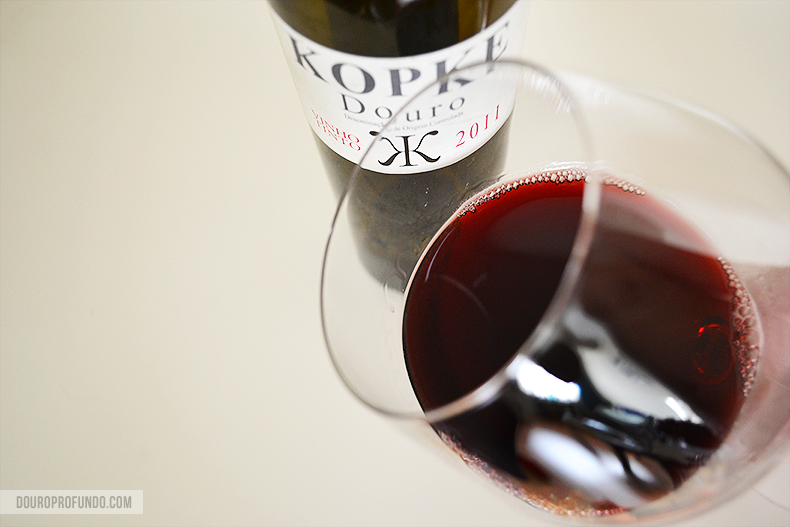 Kopke is one of the oldest winemakers in the Douro, established in 1638. 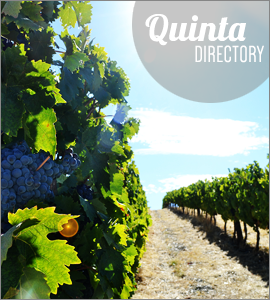 They’re one of the leading Port houses, and are even considered by many the top makers of Colheita tawnies. 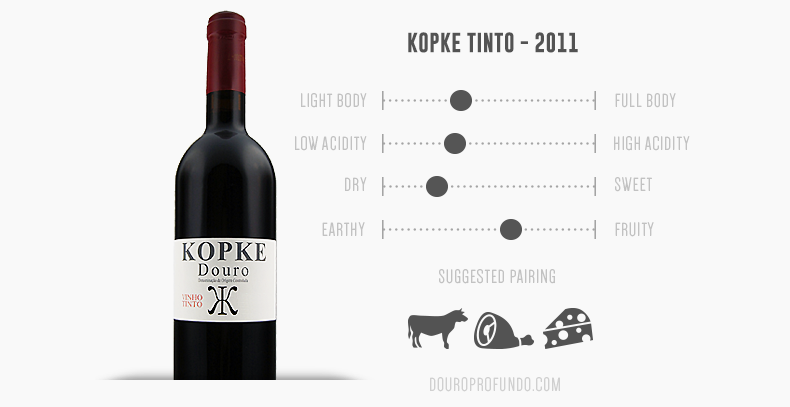 This Kopke Tinto is their entry- level wine. Among their other offers for wines are a White, Red and White Reserve and a Rosé, most of which we have tried and also thoroughly enjoyed. Kopke also has a wine cellar in Vila Nova de Gaia, which we highly recommend to anyone who is visiting Porto.